Industrial design hasn’t always been a style; it was just a fact of life. Factories and other open spaces had exposed pipes, utilitarian surfaces, and architecture served a purpose greater than aesthetics. In the last few decades, industrial style has become a trend that’s only growing in popularity, especially in the workplace. Industrial office furniture may have begun as a design aesthetic, growing from the need to convert old warehouse spaces into office space, but now you’ll find it in tech startups, coffee shops, and even new construction. Industrial style stools, workstations and desks are adaptive, cross-functional, and beautiful, which you can utilize for a variety of purposes in the same office. You can use an industrial style bench as an office desk or tech repair station, a stool for kitchen or meeting space seating. The limits to industrial style office furniture are endless. Today, industrial office design features neutral colors, utilitarian objects and materials, and utilizes a combination of wood and metal surfaces. Industrial design focuses on minimalism, with strong clean lines, and no excess or added features. Furniture pieces accomplish what they set out to do without unnecessary additions. In furniture pieces, you’ll see combinations of metal and wood, though usually unpolished or matte finished. Think aluminum, tin, steel, and iron, which are functional and beautiful. You won’t see much gold or brass either; industrial style isn’t about flashiness or sparkle. In your office space, creating an industrial look takes more than a few metal pieces. With a combination of wood pieces, metal furnishings, and accents, you can create an industrial workspace for you and your coworkers. If you’re interested in bringing industrial office furniture into your workspace, you can find key pieces from Modern Office Furniture. Industrial style is more than just aesthetics; you can increase productivity and efficiency in your office. 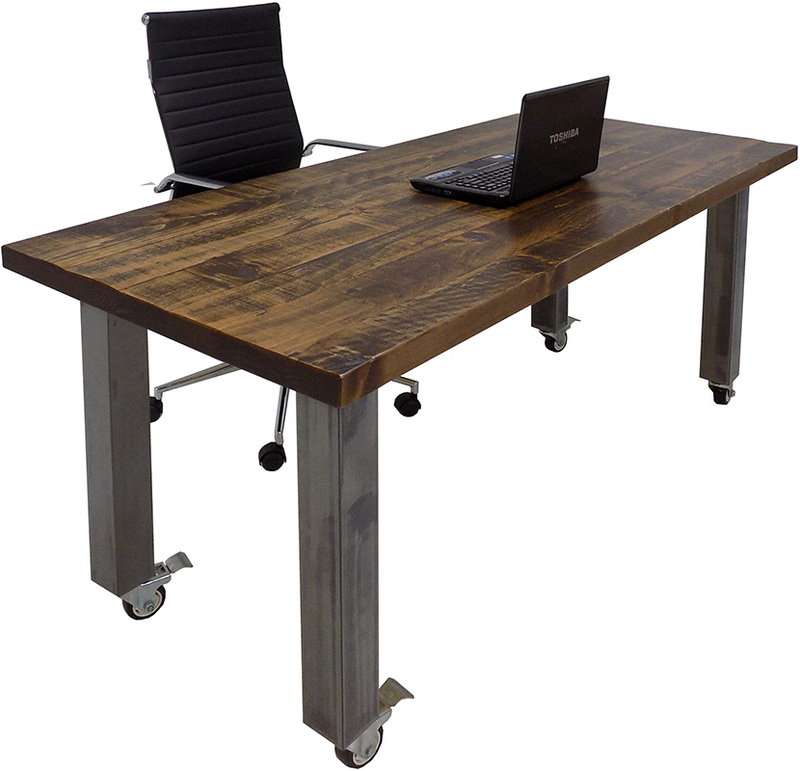 With durable industrial pieces from Modern Office, your furniture will last and look great while doing. Genuine wood and high-quality metal are the best materials for making furniture, and you’ll see that in your daily use. Don’t forget that many pieces are cross-functional, perfect for using in a variety of spaces when your needs change. 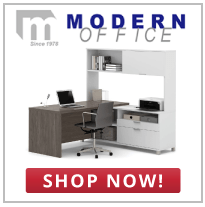 Find the right industrial pieces from Modern Office today.